Linux Mint 18.1 is a long term support release which will be supported until 2021. It comes with updated software and brings refinements and many new features to make your desktop experience more comfortable to use. 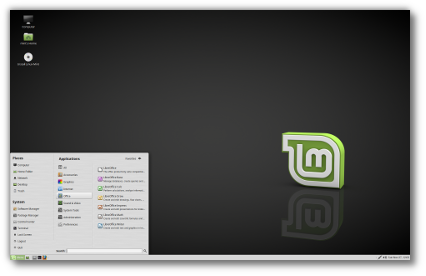 Linux Mint 18.1 features the latest MATE 1.16, which brings many bug fixes and updated translations. In the MintMenu application menu, the Google CSE search engine was replaced with DuckDuckGo. Wikipedia searches are now localized and point to the version of Wikipedia in your language. Online search engines can be disabled in the preferences. Xed, the text editor, was given a brand new search bar. When searching, the text is no longer obstructed by a dialog box. 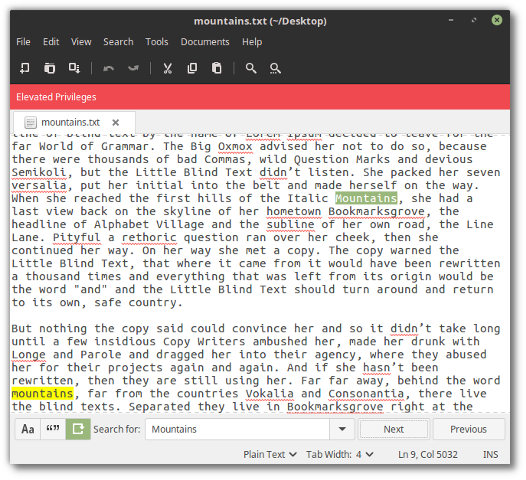 Instead, the search bar appears at the bottom of the editor. The search finds results while you are typing and you can jump from one result to the next by pressing Enter. This makes it much easier and faster than before to find or replace something. You might be used to this kind of search already, as it is used in other popular applications such as Firefox, Eclipse or Sublime (which it was inspired from). 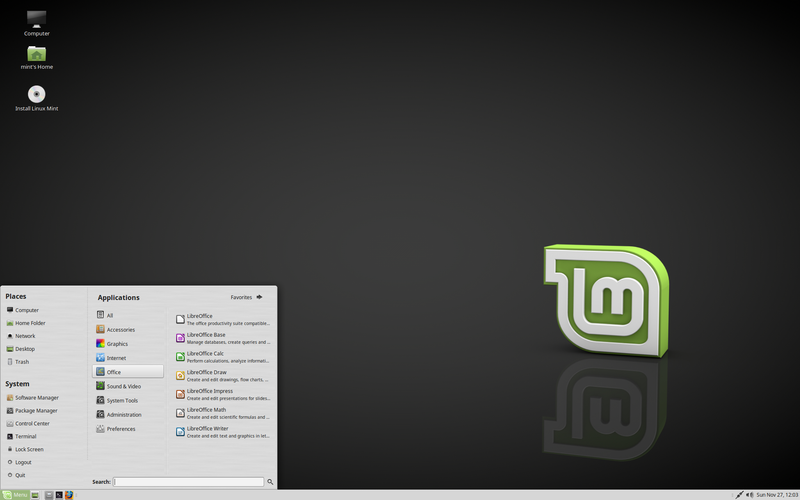 Note: The screenshot above shows Xed running as root with the Mint-Y-Darker theme to highlight this. Xplayer, the media player, was given the availability to blank other monitors. If you have more than one monitor, you can now press the “Blank Other Monitors” button when playing a video in full screen. Your video will continue to play and all your other monitors will turn black. The blanking can be toggled back and forth and automatically stops if you leave fullscreen or close the player. This feature is also available if you plug an external monitor to a laptop, so it allows you to blank the external monitor, or to blank the laptop itself without having to close the lid. You could already do this by switching monitors off manually, or by closing laptops lids, but that was troublesome for some people because of power management settings, the settings daemon reinterpreting your monitor configuration (thus moving your windows) or in the case of issues with energy saving (that’s common on Dell monitors for instance). 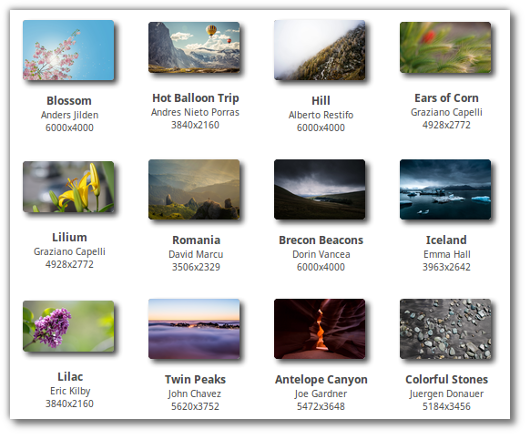 Xplayer is now fully compatible with EXIF orientation tags. In other words, it will now automatically detect and automatically rotate videos which were captured sideways or upside down. The rotation plugin is now enabled by default, so you'll also be able to manually rotate videos out of the box. Just press Ctrl+R or click on "View -> Rotate" to rotate a video. 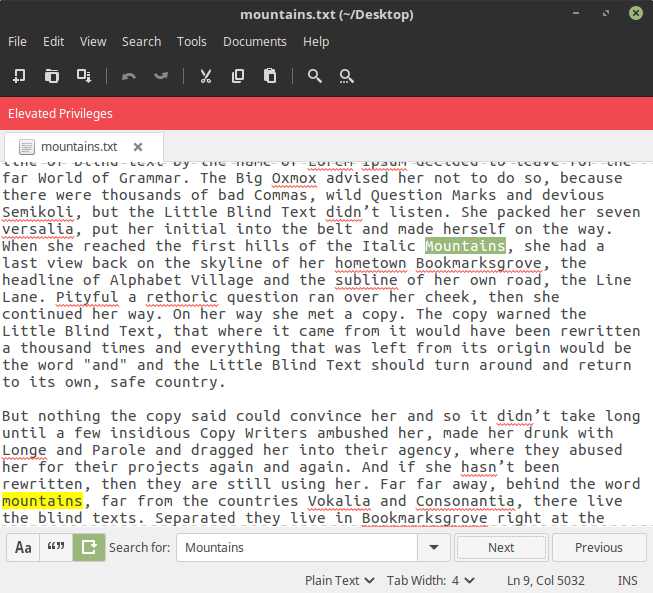 The subtitle plugin is now also enabled by default. 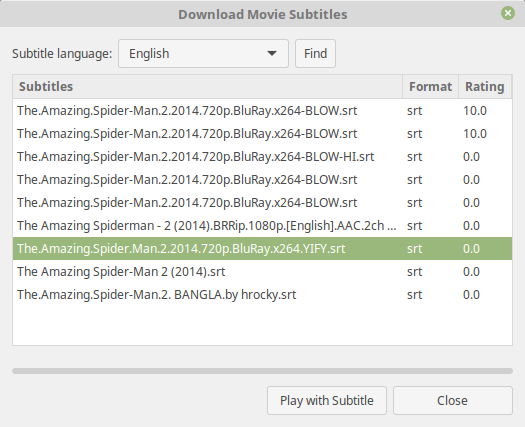 If you're watching a movie and you want subtitles for it, just click on "View -> Subtitles -> Download Subtitles". Interpolation was improved in the XViewer image viewer, reducing pixelation and aliasing in zoomed pictures. The ability to rotate pictures was provided by a plugin. It is now part of the core application. The Xreader PDF and document viewer received many bug fixes and improvements which were backported from Evince and Atril. The main view now features HiDPI support. The X-Apps project continues to facilitate cross-desktop efforts at producing better environments. New libraries and resources were made available to help cross-desktop development, not only in X-Apps applications but also in other projects. For example, Xplayer's ability to blank other monitors isn't implemented in Xplayer itself, but in libxapp, and this feature is available to other applications. Part of the keyboard layout management in Cinnamon 3.2 is implemented in libxapp too, and that also is available to other applications or other desktop environments. A new column is available to show where updates come from and sort them by origin. 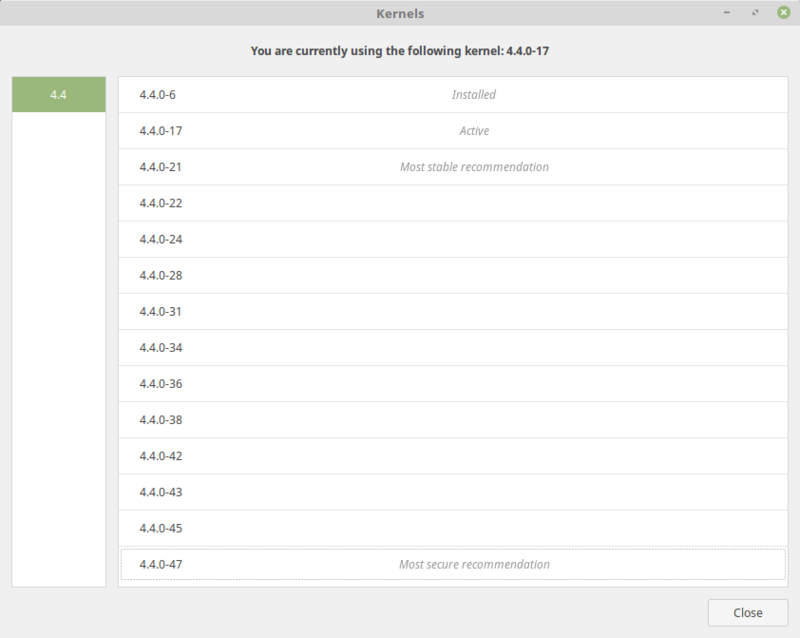 Kernel updates in the main view are shown with more clarity than before and their version is made more prominent. 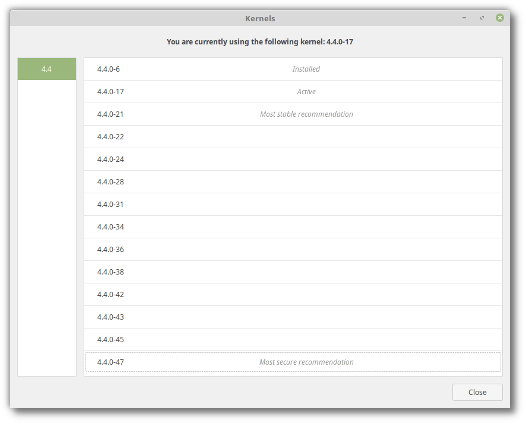 In the kernel window, kernels are now sorted by version and recommendations are given for both the most stable and the most secure kernels. The list of updates is no longer refreshed if an update fails or if it is interrupted. Changelogs are now cached and only downloaded when needed. Name resolution (the name given by the update manager to a group of package updates) and support for special characters were improved. The layout of the security policy screen was improved. 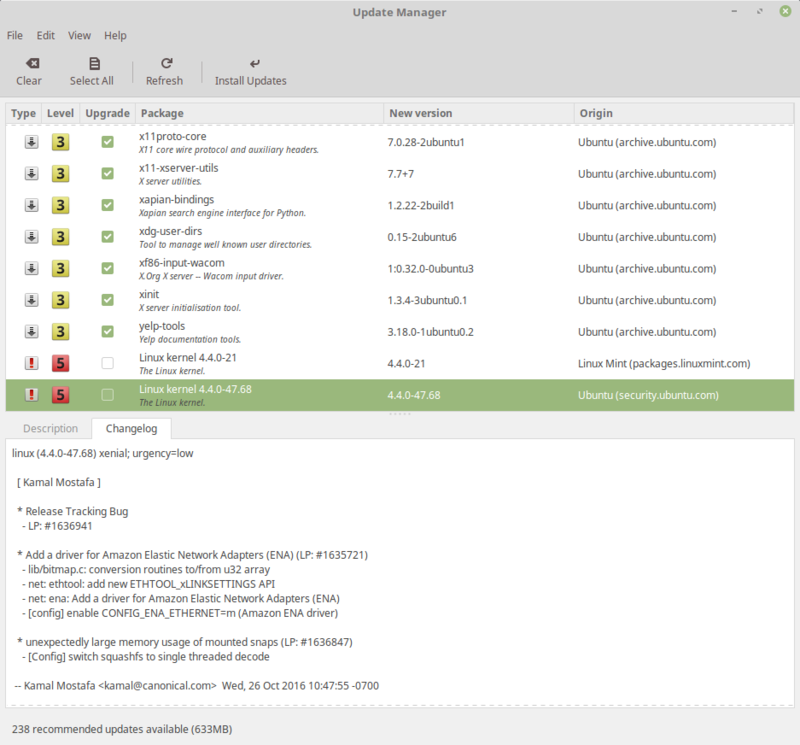 The version number of the update manager now appears in the "Help -> About" dialog window. 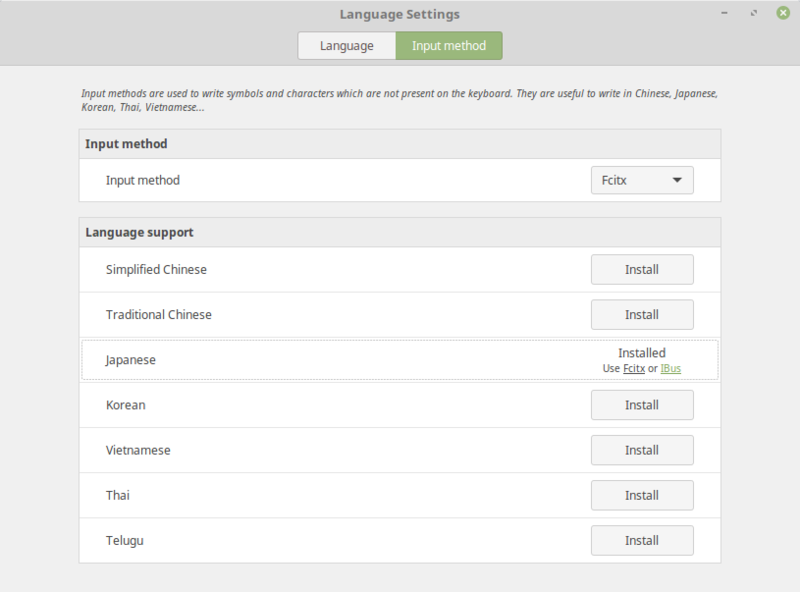 The Language Settings checks are more exhaustive than before. 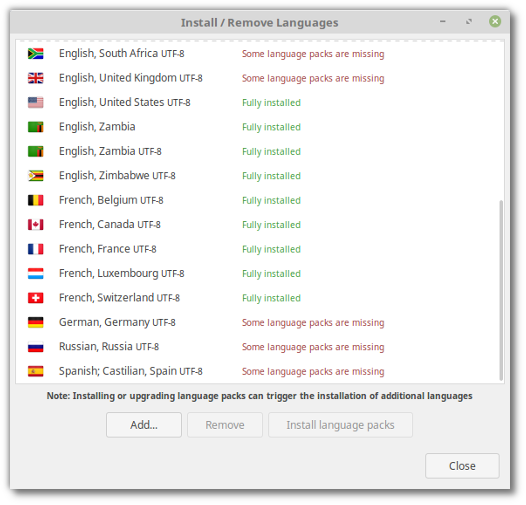 In previous versions, full support for a particular language included its language packs and localized versions of popular applications such as Thunderbird and Firefox. This now includes a lot more packages such as dictionaries, help packages, fonts, and optional components which depend on the list of applications you installed. The "Input Methods" configuration tool was completely redesigned. In the past, you were presented with a list of input methods and you could choose the ones you wanted to install. This was a bit confusing to novice users. 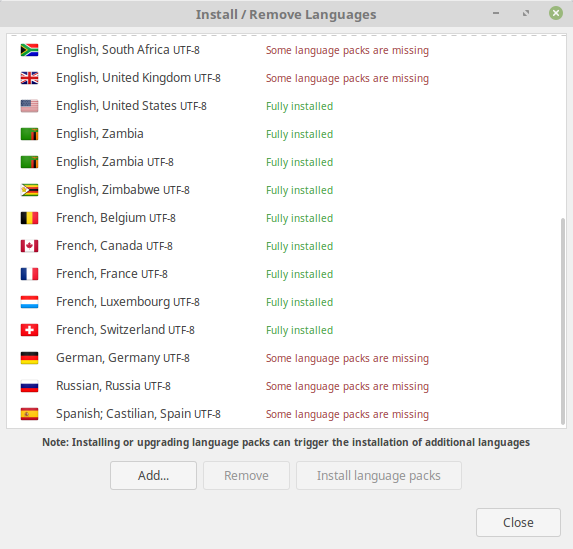 Not only did it install support for other languages than the one they wanted, but they often didn't know which input methods were relevant to their language. This was changed in Linux Mint 18.1. 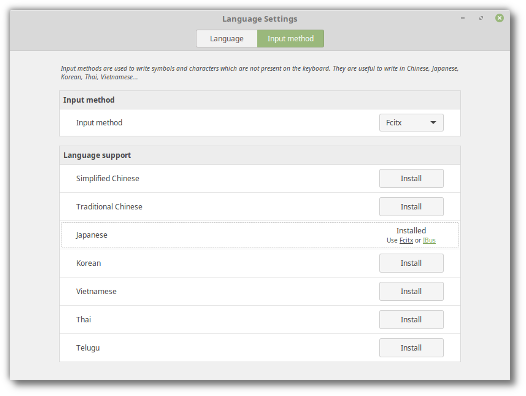 Users now choose a language and the tool installs the appropriate input methods for it. Thanks to a new collection of flags, the language settings now fully support HiDPI. 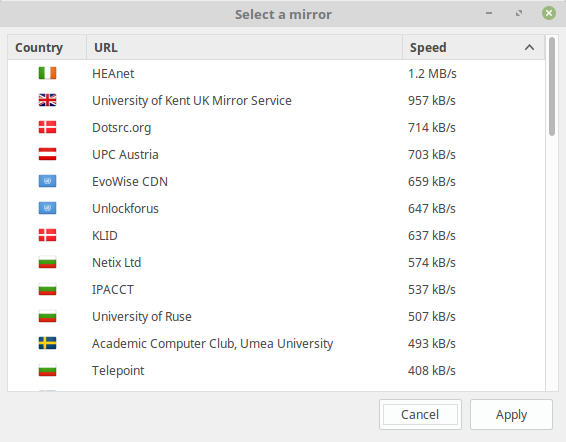 The Software Sources tool was given support for anycast IP global mirrors. These mirrors provide multiple servers across the World and automatically redirect your requests to the appropriate server. 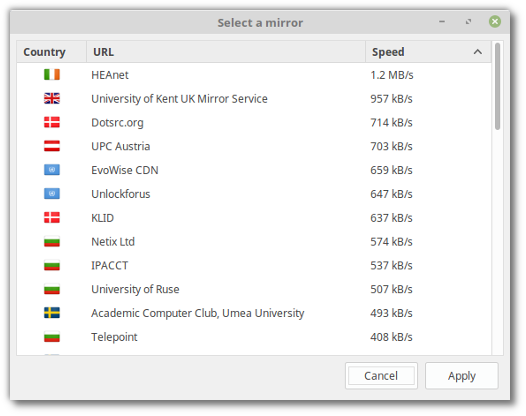 Unlike other mirrors which are located in a particular country, these mirrors are more or less "Worldwide" and available to all users. The login screen now forcefully applies keyboard layout configuration. This fixes a long-standing issue with Logitech wireless keyboards. In cases where monitor plug names are not available (which is the case in Ubuntu Xenial due to a regression in GTK+), monitors can now be selected by ID. XDG_DATA_DIRS is now modified much later in the login sequence. Among other consequences, this fixes support for Flatpack. Fixes were made in the shutdown sequence and the execution of PostSession scripts. SIGHUP signals no longer kill the session. In the default software selection, Banshee was replaced with Rhythmbox. Banshee was a great application but it suffered many regressions lately, due to lack of development upstream and its reliance on Mono. Rhythmbox is supported by the Cinnamon sound applet and screensaver. To ensure proper integration in MATE and Xfce, Linux Mint is now involved in the development of rhythmbox-plugin-tray-icon. This release ships with linux-firmware 1.157.5 and the Linux kernel 4.4.0-53. "folder-color-switcher" now supports theme inheritance. You can modify the color of your folders even if you're using Mint-Y or Mint-X-Dark. 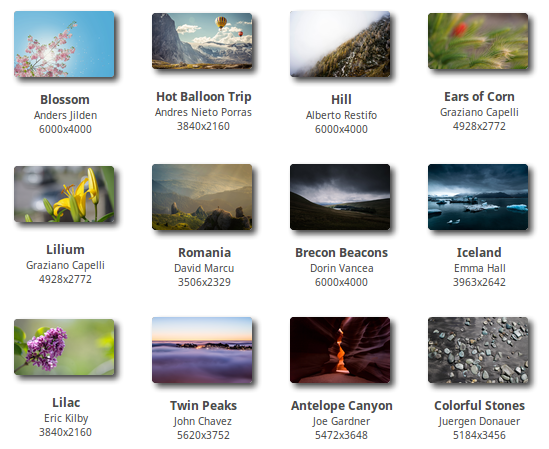 Linux Mint 18.1 features a superb collection of backgrounds from Anders Jilden, Andres Nieto Porras, Alberto Restifo, Graziano Capelli, David Marcu, Dorin Vancea, Emma Hall, Eric Kilby, John Chavez, Joe Gardner, Juergen Donauer, Jan Vasek, Kace Rodriguez, Lionello DelPiccolo, Maxime Staudenmann, Petra Fischer, Philippe Wuyts, Robert Lukeman, Sylvain Guiheneuc, Stephen Radford and Sam Schooler. 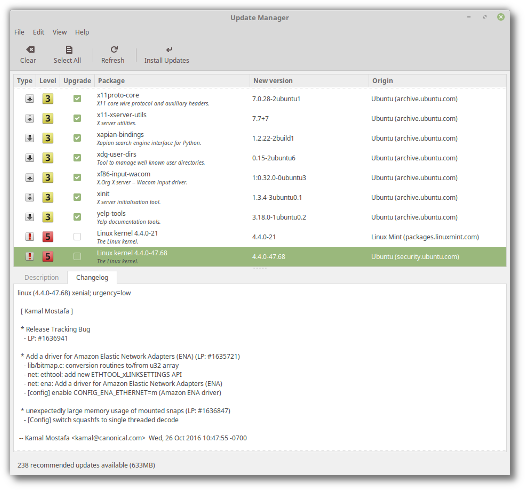 Linux Mint 18.1 features MATE 1.16, MDM 2.0, a Linux kernel 4.4 and an Ubuntu 16.04 package base. Linux Mint 18.1 will receive security updates until 2021.